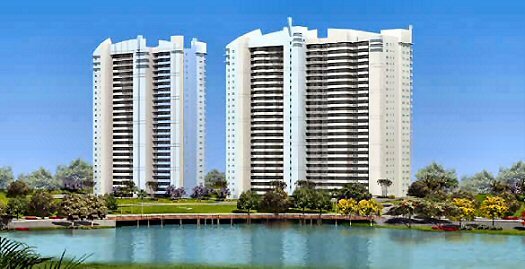 Towers I & II of Biscayne Landing, named Oaks I, were the first to be released for sale and are about 90% sold. 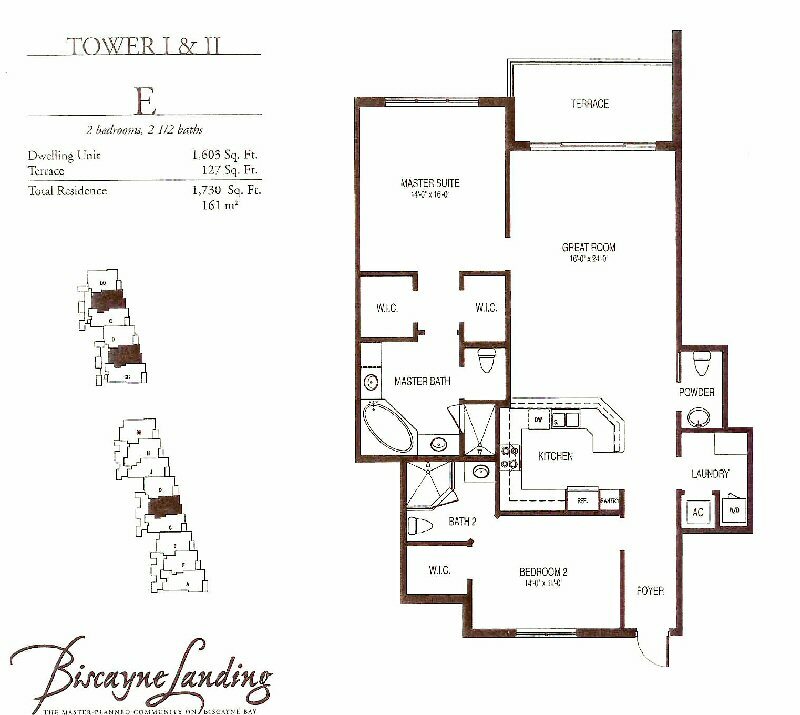 These buildings offer two-and-three bedroom units in a 25-story tower. 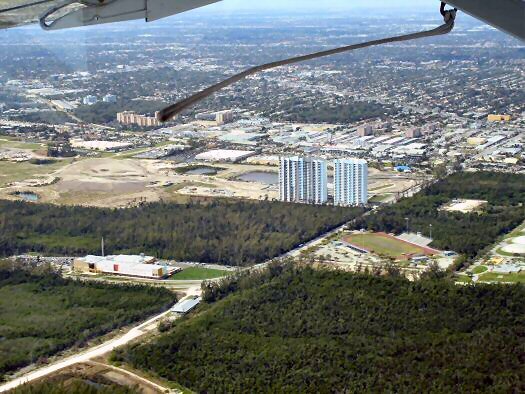 Construction of these Biscayne Landing buildings began in March, 2005 and was recently completed. Model A (3 bedrooms, 3.5 baths, den/media room) 2,557 sq. 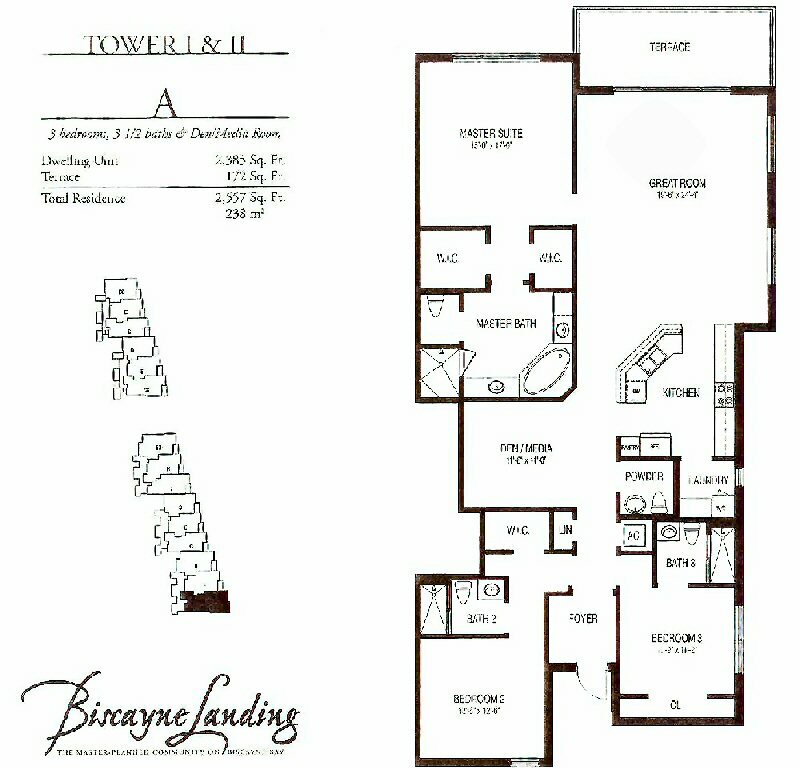 ft.
Model BB (3 bedrooms, 3.5 baths) 2,196 sq. ft.
Model CC (3 bedrooms, 3 baths) 1,972 sq. 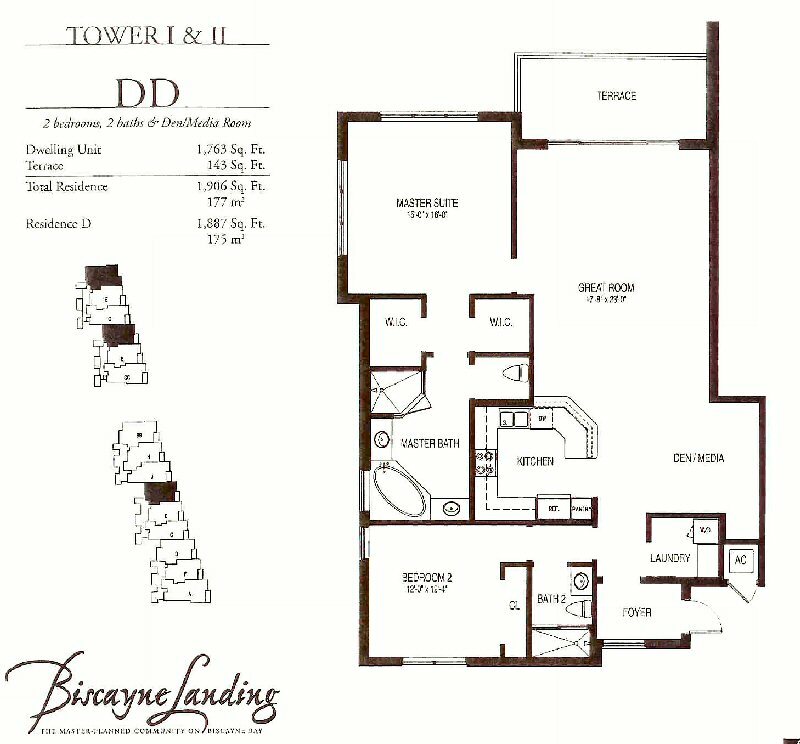 ft.
Model DD (2 bedrooms, 2 baths, den/media room) 1,906 sq. 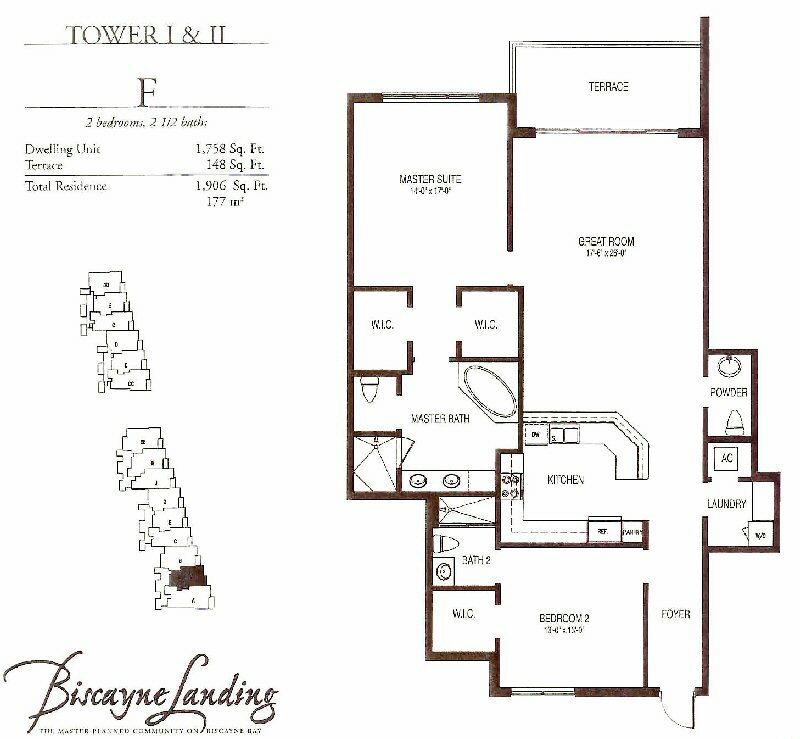 ft.
Model E (2 bedrooms, 2.5 baths) 1,730 sq. 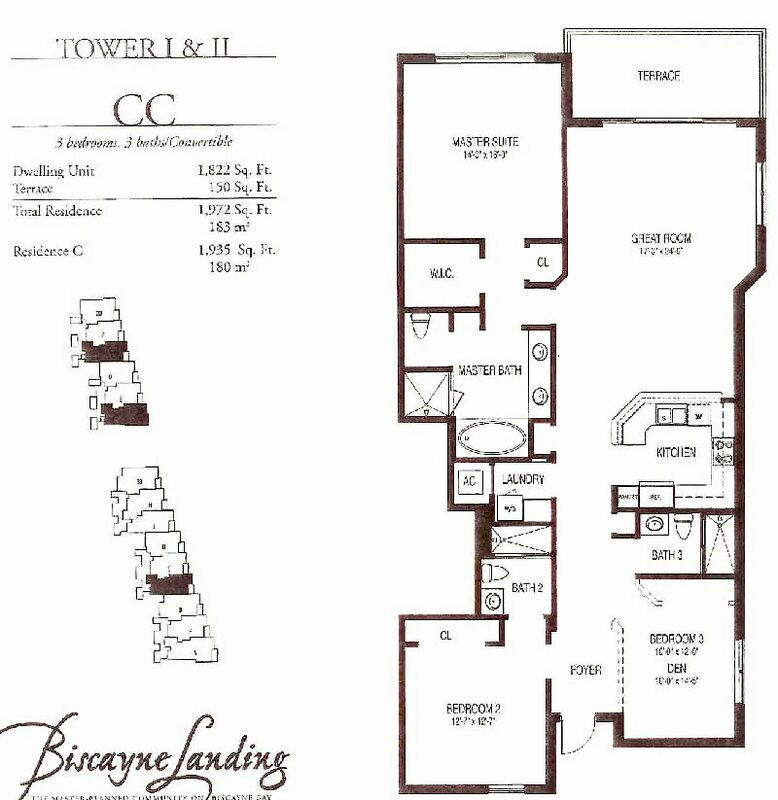 ft.
Model F (2 bedrooms, 2.5 baths) 1,906 sq. 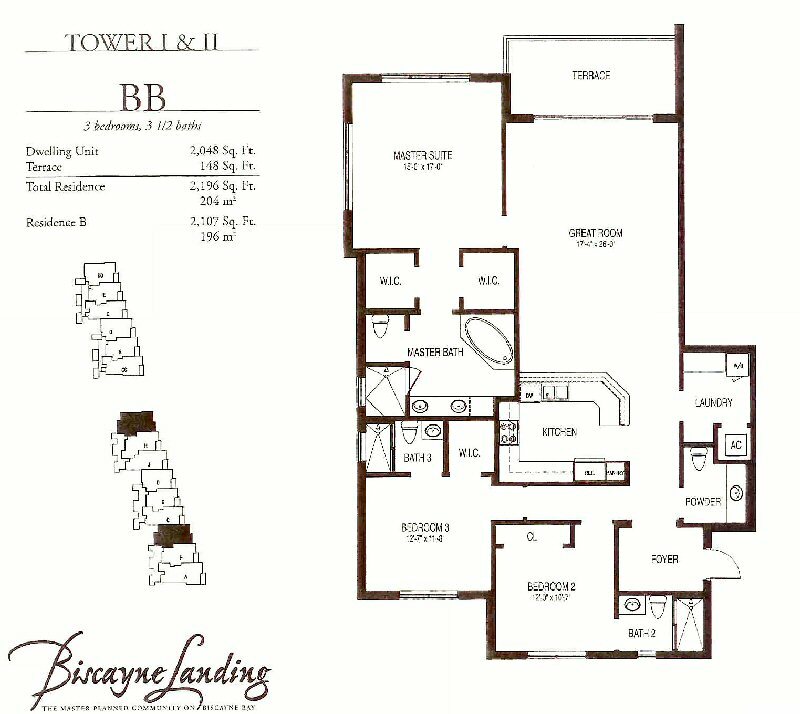 ft.
To request additional information about Biscayne Landing residences, please e-mail us with your name, address, and phone number and we will respond as soon as possible. (We will not sell or misuse your information in any way).